Home » Blog » Is Invisalign Better Than Braces? Is Invisalign better than braces or is the traditional approach still better? Cross bite where the upper teeth sit inside the lower teeth when the mouth is closed. Invisalign has several advantages over traditional braces but are only effective in making relatively small adjustments to the position of the teeth. Because Invisalign uses transparent, removable aligners, they tend to be more comfortable. Is Invisalign better than braces? Well, in terms of aesthetics and comfort, yes. Invisalign aligners can be removed while eating, meaning you don’t have to give up hard or sticky foods while your teeth are realigning. They can also be removed, making the oral hygiene routine much simpler than with ordinary braces. Braces have been around for years and over those years have become increasingly sophisticated. Although still using the same basic premise of brackets that attach to the teeth and a wire that runs between the brackets, braces are extremely effective. 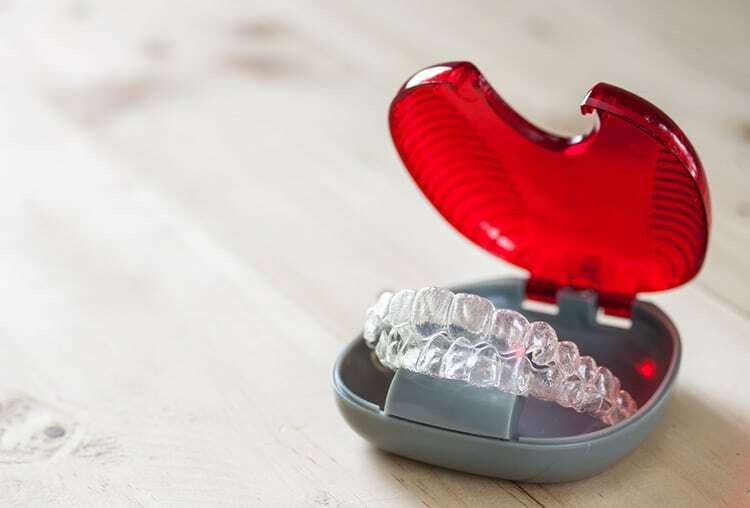 While not as aesthetically pleasing as Invisalign, Newwave Orthodontics will recommend braces for complicated cases, where they are quicker and more effective. In instances where a person has a bad bite, be it an overbite or underbite, braces can fix the problem efficiently, giving the patient a new smile. While Invisalign may be the least obtrusive of the orthodontic devices available for tooth and jaw realignment, the introduction of ceramic or clear brackets in traditional braces has made them far more aesthetically pleasing. While metal braces are still the strongest and better for people who have an active lifestyle or engage in a lot of sport, ceramic or clear braces can go a long way in fixing a variety of dental problems without filling your mouth up with metal which is why we routinely use ceramic braces on your upper front teeth. When querying is Invisalign better than braces, it’s important to take different types of braces into consideration. Lingual braces, for example, attach to the back of the teeth, rather than the front, making them far less noticeable. On the downside, they can be extremely uncomfortable, especially at the beginning and significantly more expensive. Apart from appearance, the most important consideration with Invisalign is whether you are willing to wear aligners 22 hours per day – otherwise they cannot work properly. At Newwave Orthodontics, we take into account each individual patient and their lifestyle as well as the condition of their teeth and bones. In taking every aspect of your life into consideration, Dr Peter Miles can recommend the best treatment for you and give you details about the process, how long it will take and what the pros and cons might be.